Miona Topalović was born in Belgrade and started playing the violin at the age of seven. She has been working with her professor and mentor Radana Vranešević since 2014. She is currently studying at the music school ,,Vatroslav Lisinski“ with professor Mina Aleksić in Belgrade. Miona has been in the Interpretation studio of violin of professor Dejan Mihailović wich was held by Nemanja Radulović in 2016. She has been in the Artlink young virtuoso chamber music orchestra since 2015. where she performed with Stefan Milenković as a concert master. Miona had a series of recitals in Serbian academy of arts and science gallery, The Ilija M. Kolarac Endowment, Cultural centre of Belgrade Artget gallery and The hall of the Holy spirit in Cotor. 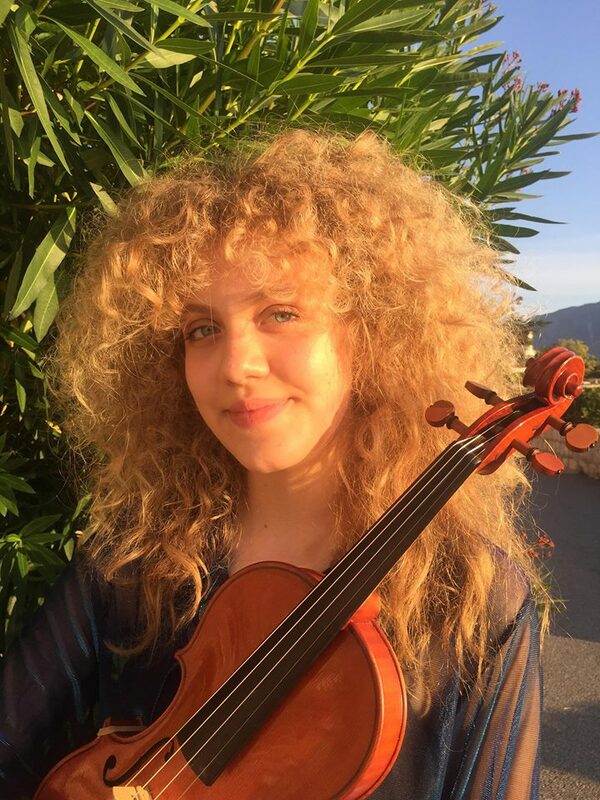 She has won many first prizes in national and international competitions such as “Stringfest”(Serbia), “Jozef Micka” (Czech Republic), “Kocian violin competition” (Czech Republic) and “International Competition for Young Musicians ‘Ohrid Pearls’ ” (Macedonia), where she won the EMCY prize. If you are interested in working with Mionia, please get in touch with the EMCY Office.